The wife bought me yet another LED night light to test. She bought it at Walgreens. This thing was fairly small. 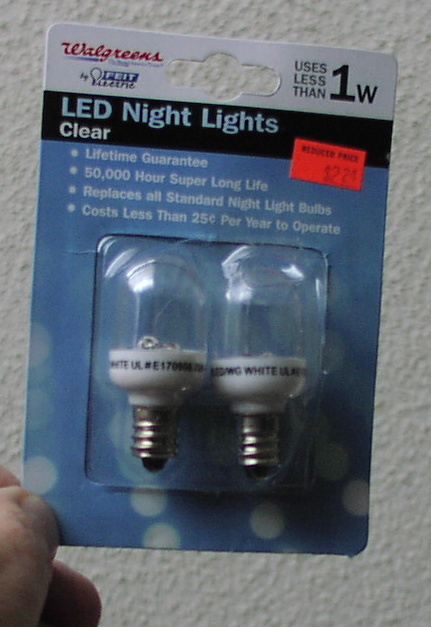 As shown below, it was sold in a blister pack containing two lights. 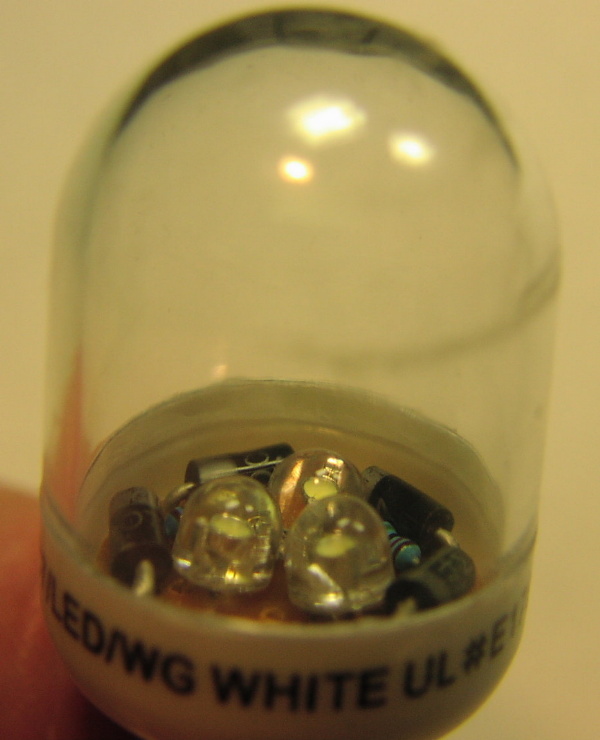 The package claimed that the light would last 50,000 hours, which if used 24 hours each day would be 5.7 years. 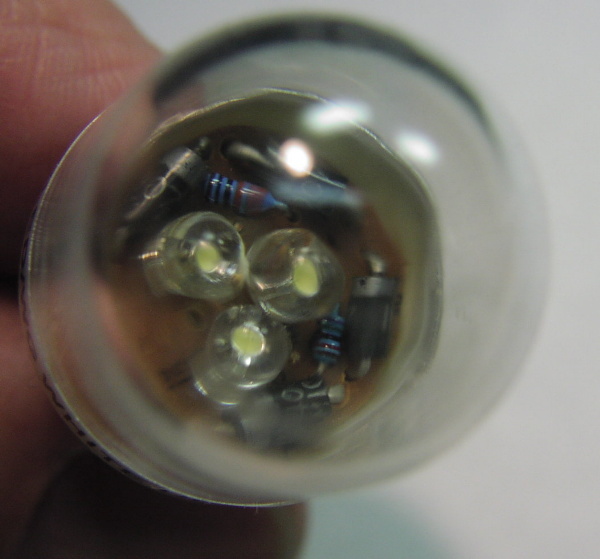 Each light contained three wide angle white LEDs.I t was designed to screw into and replace a standard 4w incandescent lamp, using a miniature screw base. The light was put into one of many of the places where I have night lights in my house. I marked the installation date on the side of the light. A full year later, I noticed that the light was visibly dimmer. I pulled out a brand new unused light and did a side by side test. 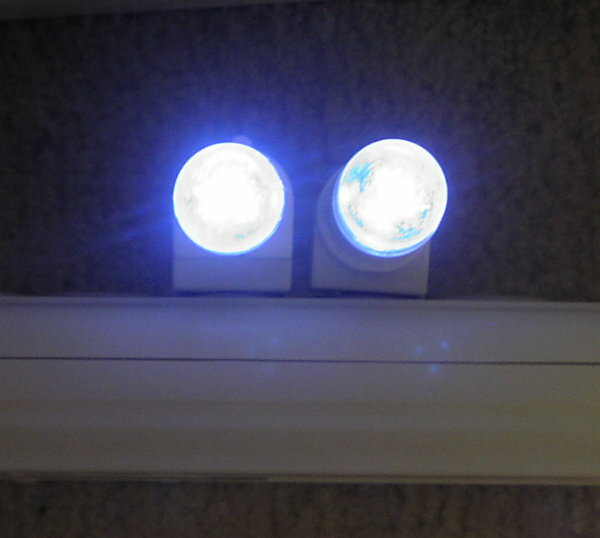 As shown below, the new night on the left side was clearly brighter than the one year old light. I pulled out my handy light intensity meter and determined that the one year old light was putting out half as much light as the new lamp. In my definition, this one year time frame would be the true life of this light. 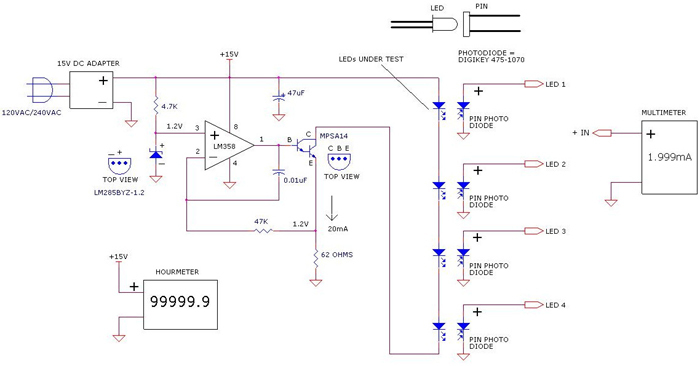 In one year, the light output dropped by 50%. After two years, the light would drop by another 50%, taking it to the 25% point. 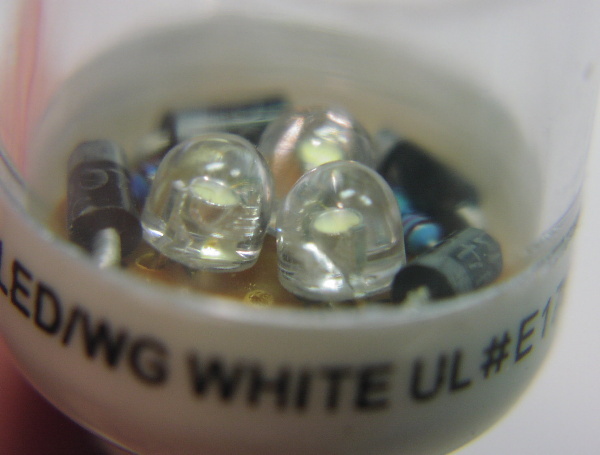 After 5.7 years, the light would only be putting out 2% of the original light intensity. Yes, the light would indeed still be emitting light after 5 years but claiming that it had a life of 50,000 hours is false in my book. Chinese false advertising strikes again.